Tired of confusing and tedious interface options and commands? With midas Civil's distinctively user-friendly GUI (graphic user interface) even the most complex modeling challenges are greatly simplified for your convenience. midas Civil features a unique and innovative Works Tree Menu display that conveniently organizes data and work progress. Using the Works Tree Menu, you can easily keep track of your work progress and make changes instantly. 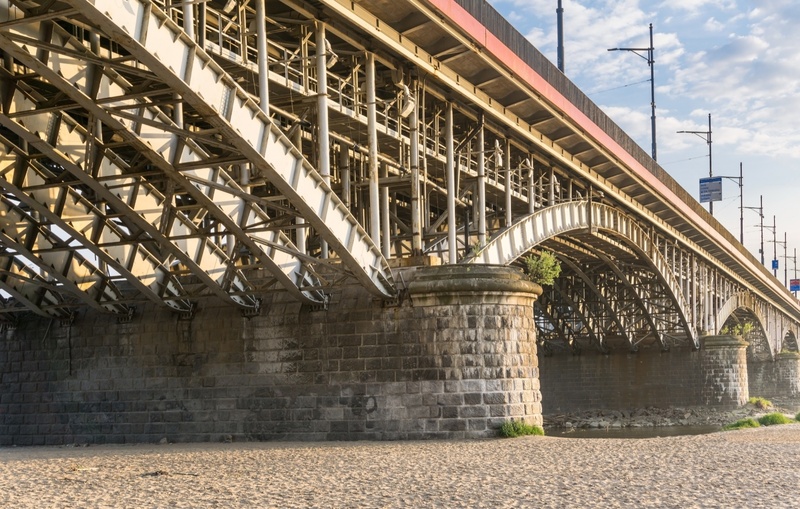 Modeling the geometry of curved bridges can also cause considerable challenges. 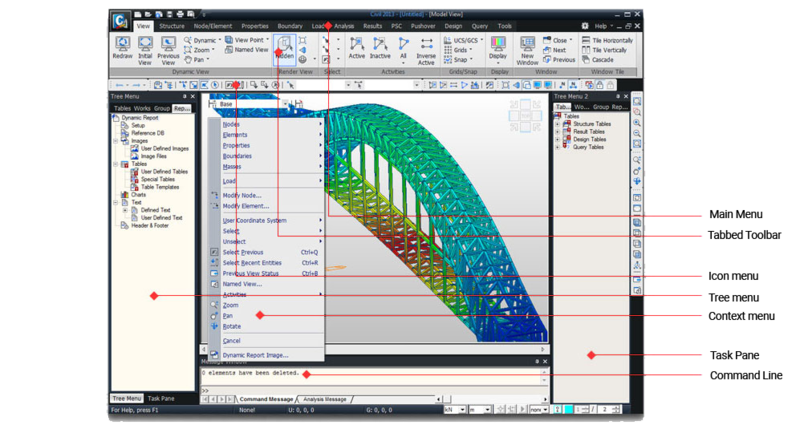 midas Civil is equipped with functions such as “Create Elements on Curve,” and “Curved and Element Coordinate System” that enable engineers to easily model curved sections. 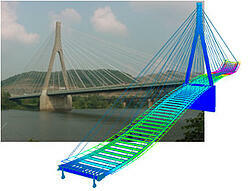 Bridge modeling often consists of many repetitive and time consuming steps. 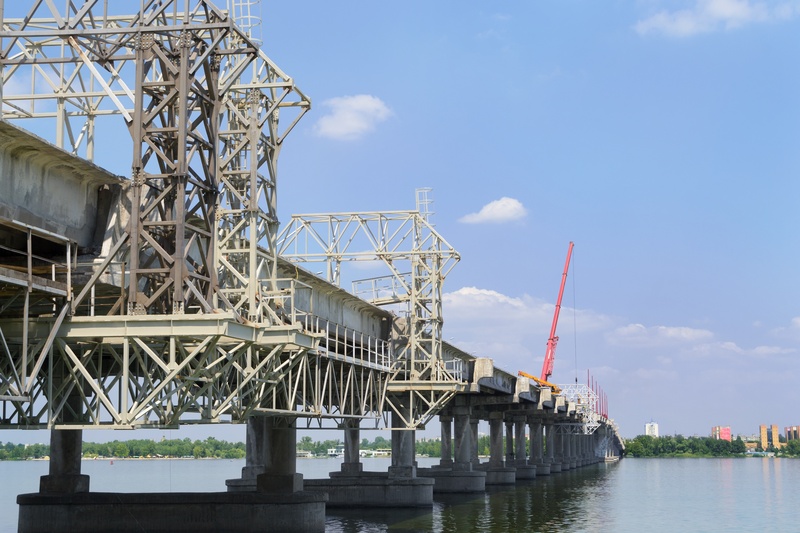 This is especially the case for larger bridge projects that consist of hundreds of nodes and elements. 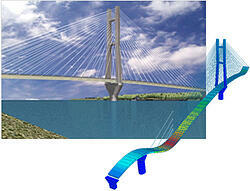 midas Civil has exceptional bridge wizards that will enable you to model all bridge types at a highly accelerated rate. 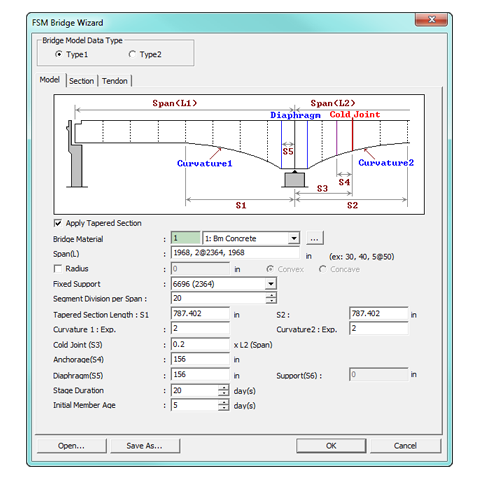 You will be able to create your bridge models quickly with standard definitions such as loading, construction stages, tendon profiling and boundary modeling. The wizards have been developed with a simple and straightforward format so that even engineers without expertise in finite element analysis can use them. for modeling errors is greatly reduced and the results will be more accurate and reliable as well. 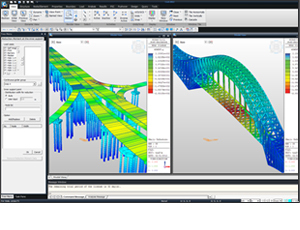 midas Civil is equipped with functions for any bridge analysis that you will have to run, thus eliminating the need for multiple software programs. 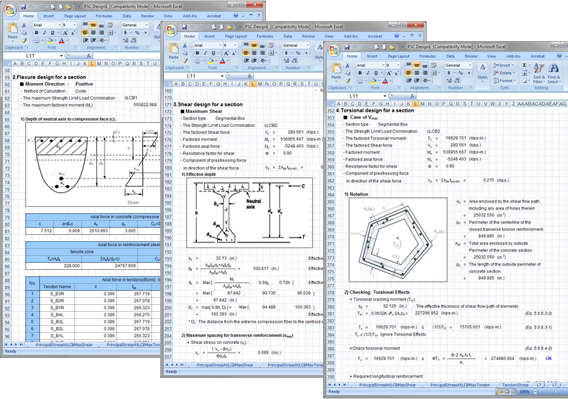 For example, many engineers use separate programs to run superstructure and substructure analysis. This limitation often leads to significant losses in time, efficiency, and accuracy. midas Civil can do both in the same file. Just imagine how convenient it will be to have one program that handles every analysis for you: No more going back and forth between several programs. Less time spent inputting data. More time to spend on other priorities. 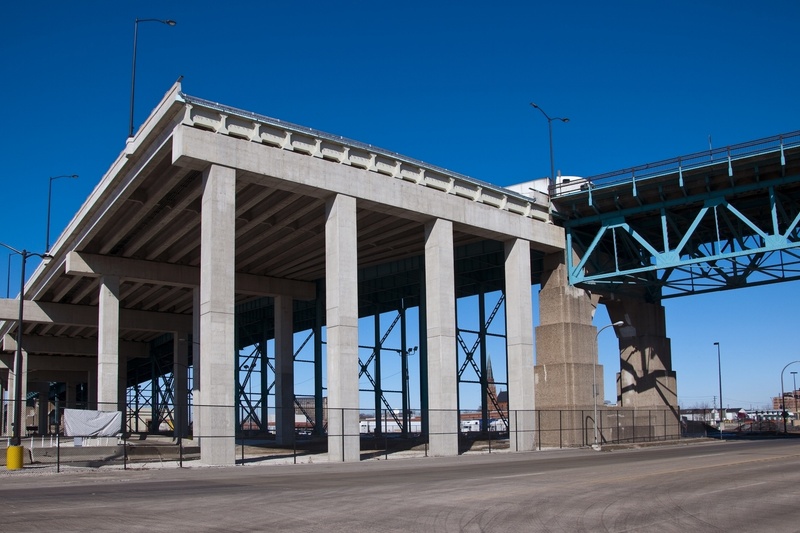 Time History Analysis is used for the seismic design of high-end bridges as well as heavy structures being built on relatively soft soils. midas Civil has multiple functions that greatly simplify and streamline this highly detailed analysis. Pushover analysis is essential in seismic design because it greatly reduces uncertainty and conservatism. midas Civil enables you to perform an accurate pushover analysis through the defining of hinge properties as well as pushover cases. 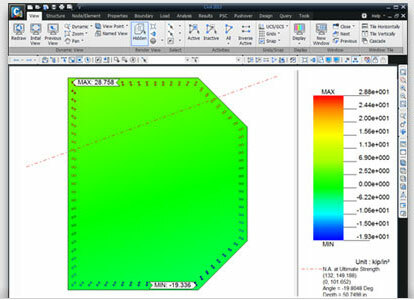 midas Civil enables you to view the levels of strain for each section and element of your model through colored contours. This medium of display is much more efficient and aesthetic than typical spreadsheets and graphs. The study of axial force moment interaction is required to design columns and beam-columns. 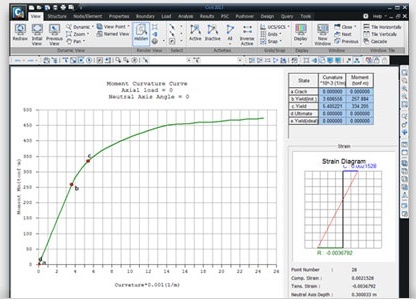 midas Civil displays the axial force moment interactions in 3D graphs with corresponding spreadsheets for fast and easy reference. 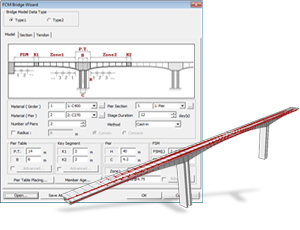 A detailed bridge analysis consists of countless repetitive calculations. In today's modern design practices, hand calculations and spreadsheets are quickly becoming outdated. 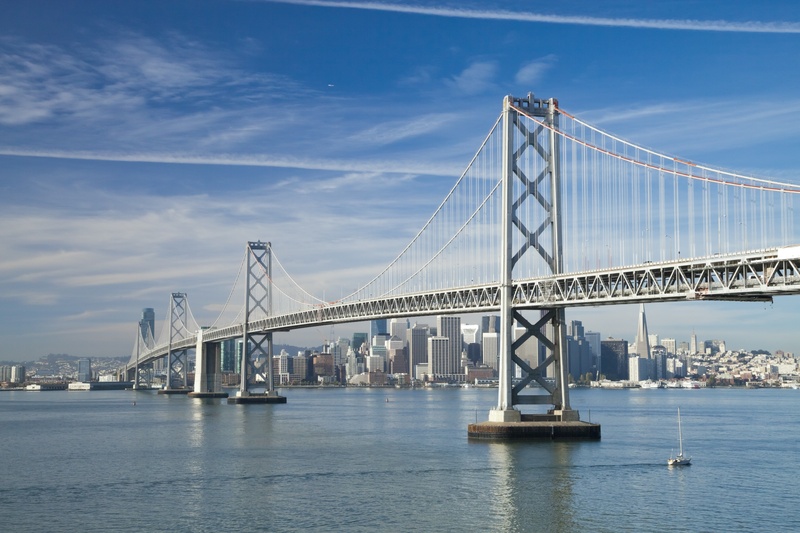 Many design firms have invested in high-powered bridge software to stay competitive. 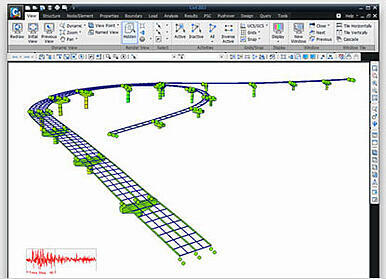 midas Civil is a leading choice of bridge software because of the accuracy and accessibility of its built-in formulas. You merely need to enter the preliminary data and parameters and midas Civil will automatically perform all the detailed and repetitive calculations. For example, when performing soil structure interaction, soil supports need to be generated which require calculation of spring constants. This process leads to time consuming calculations that are prone to errors. midas Civil has embedded bridge wizards, automatic support springs for soil and easy modification features that drastically simplify this process. Hundreds of calculations are performed in a matter of seconds. The program also seamlessly generates the corresponding graphs and tables, thus eliminating the need to create graphs through excel. 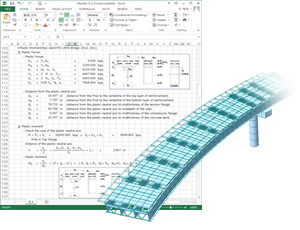 A detailed bridge analysis consists of countless repetitive calculations. hand calculations and spreadsheets are quickly becoming outdated. he user-oriented input/output functions are based on sophisticated and intuitive User Interface and up-to-date Computer Graphics techniques. They offer excellent facilities and productivity for the modeling and analysis of complex, large-scale structures. midas Civil enables us to readily create nodes and elements as if we were drawing drawings using the major functions of CAD programs. 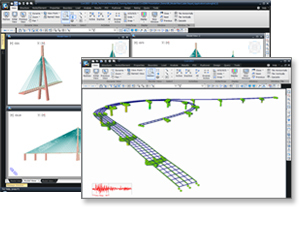 Powerful automatic modeling functions such as Auto Mesh Generation and various Bridge Wizards are introduced.Once the basic section and bridge information and tendon placement data for the case of a PSC bridge are provided, the Wizard creates the completed bridge model as well as the construction stage models. 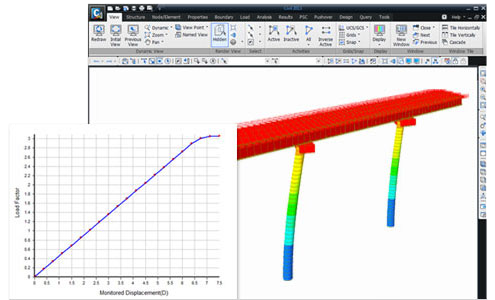 midas Civil provides linear and nonlinear structural analysis capabilities. A large collection of finite elements has been implemented for applications in civil and building structures. 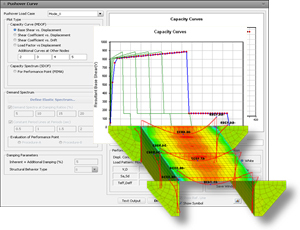 The program’s efficient analysis algorithms yield exceptional versatility and accurate results appropriate for practical design applications. The post-processor can automatically create load combinations in accordance with specified design standards. Changing the type of display can produce various forms of graphic output. Practically all the results can be animated, namely, mode shapes, time history results of displacements and member forces, dynamic analysis results and static analysis results. midas Civil also provides results that are compatible with MS Excel, which enables the user to review all analysis and design results systematically. 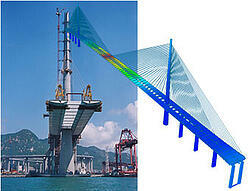 The concept is for a cable-stayed bridge with a twin aerodynamic deck suspended from two 295m-high single pole towers. These towers will have bases measuring 24m x 18m tapering to 7m diameter at the top, and the deck will allow a navigation clearance of 73.5m over the full entrance to the Container Port. 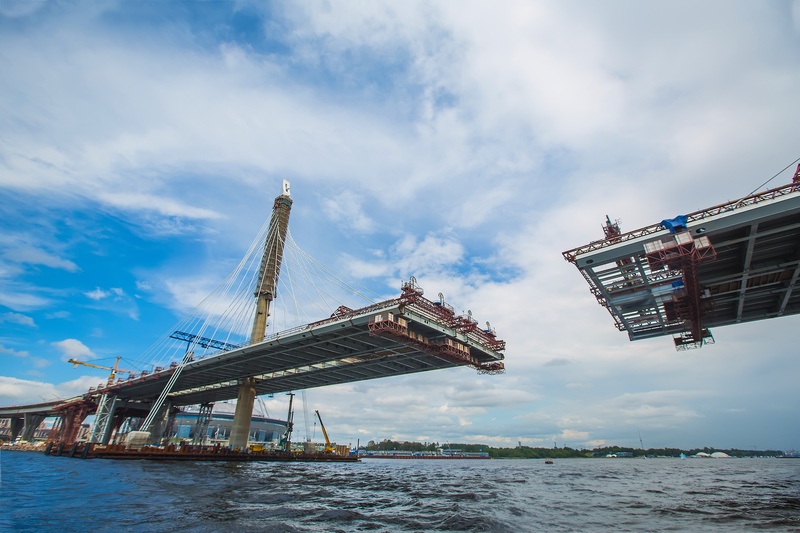 This sets a record of being the world’s 2nd longest cable stay bridge to date for which full erection engineering was carried out. The Weirton-Steubenville Bridge is an asymmetrical cable-stayed bridge with a single tower. The girders are I-shaped stell plate girders with skewed web at 10°. The 52 cables created a dual-plane system. The concrete deck is treated as a composite system. The tower is reinforced concrete with an inverted Y-shape. In addiction to the 3D analysis, a detailed analysis for the ancor black has been performed. - Cable Tension Optimization Detailed Analysis"
The Ironton-Russell Bridge is a single tower cable-stayed girder bridge. Girders are I-shaped steel plate girders. 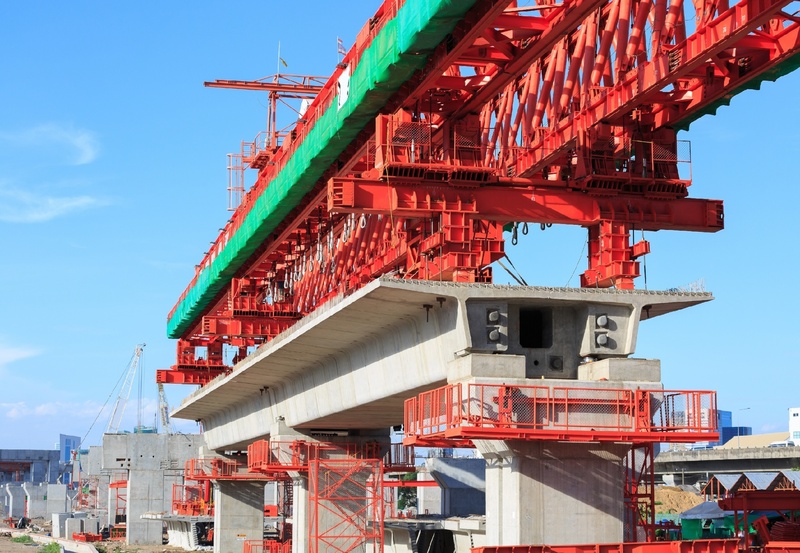 The girders are of a composite system with the concrete deck. The cable system is a dual-plane system consisting of 70 cables and the tower is made up of reinforced concrete.